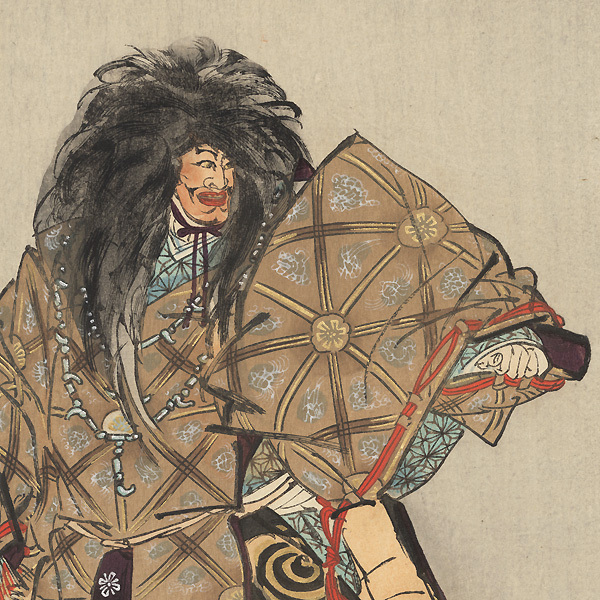 Kogyo's Vertical Noh Prints - - Shortly before his death in early 1927, Kogyo completed work on his masterpiece series, "One Hundred Noh Dramas." 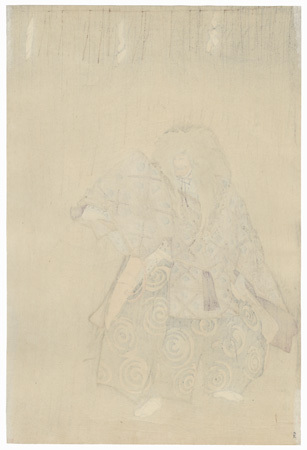 This beautiful series took several years to complete, and reflects Kogyo's consummate skill in drawing and composition. The Noh Theater in Japan is known for its spare stage decoration and sumptuous costumes, and Kogyo's minimalist designs reflect this. Delicate patterning, lush coloring, and embellishments such as silver and gold mica and embossing capture the rich costumes worn by the actors. The soft watercolor-like backgrounds provide a painterly contrast to the carefully detailed figures. These wonderful prints required extreme care on the part of the carvers and printers to bring Kogyo's vision to life. 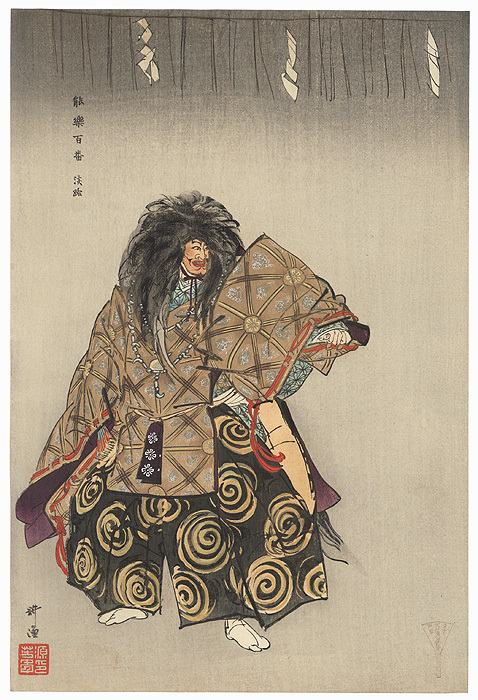 The great Noh print master Kogyo reached the pinnacle of his career with these wonderful, vertical Noh designs. His fantastic series is a great favorite of collectors and a rare and desirable set. Condition - This print with excellent color and detail as shown. Slight paper remnants on reverse at corners from previous mounting. Some prints have a few small marks or faint offsetting. Please see photos for details. Generally in nice condition overall.